Chris Shepherd is a Certified Public Accountant for BFJ Financial Group. Chris delivers a comprehensive service package which includes financial statement compilations along with a full suite of tax services for individuals, businesses, estates and trusts. Chris graduated with a Bachelor of Science in Accounting from Saint Leo University. He has over 3 years experience working in various sized public accounting firms with a wide range of duties. 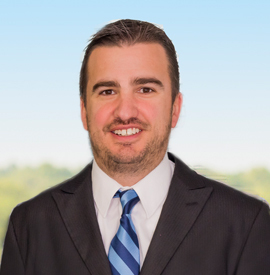 Prior to joining BFJ Financial Group, Chris owned his own business that was awarded a government contract to manage pharmacy services at an overseas clinic. Chris is married to Danielle and they have three children. Chris enjoys running, competing in Tough Mudder events and watching his children play in various sporting and performance events. He is always looking forward to the next adventure that life will take him.